PA's principal religious leader presents the killing of Jews by Muslims as a religious Islamic goal. The principal Palestinian Authority’s religious leader, the Mufti Muhammad Hussein, speaking last week, presented the killing of Jews by Muslims as a religious Islamic goal. The event was broadcast on PA TV, translated by the Palestinian Media Watch (PMW) research institute and presented on its website. The moderator who introduced the Mufti at the Fatah event reiterated another Islamic belief: that the Jews are the descendants of apes and pigs. “Our war with the descendants of the apes and pigs (i.e., Jews) is a war of religion and faith,” the moderator said. The Mufti did not distance himself from the hate statement that Islam is in a religious war with the Jews, but added to it that Islam's goal is to kill Jews. 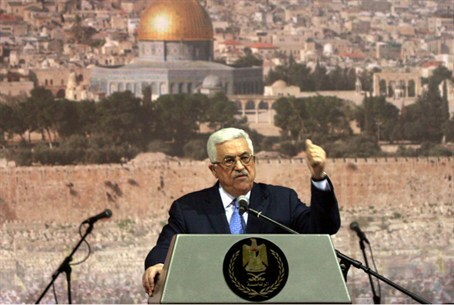 The Mufti is appointed by none other than Abbas himself, who also heads the Fatah movement, PMW said.